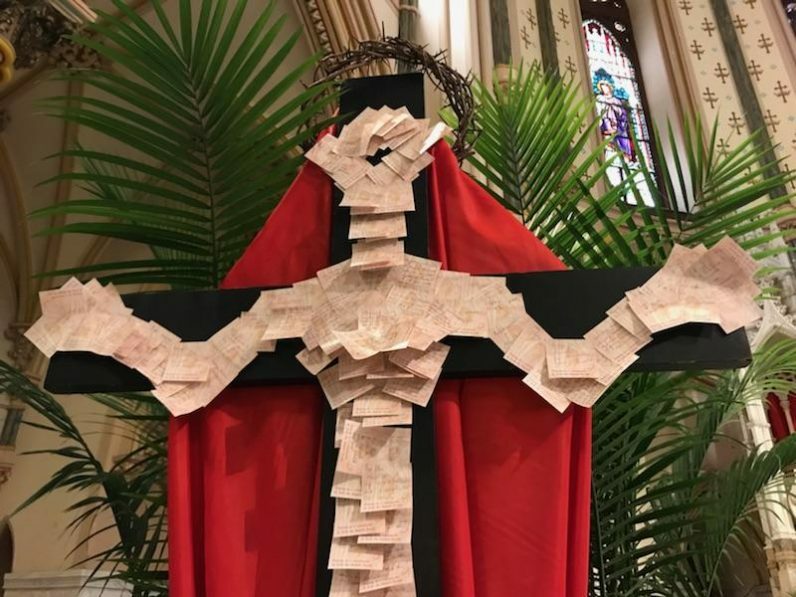 A cross decorated with petitions will be venerated on Good Friday at St. John the Baptist Parish in Philadelphia’s Manayunk section. On Good Friday, Christians throughout the world recall how Christ bore human sin and suffering on the cross. One Philadelphia pastor came up with a creative way to explore this mystery, using simple pieces of paper. Msgr. 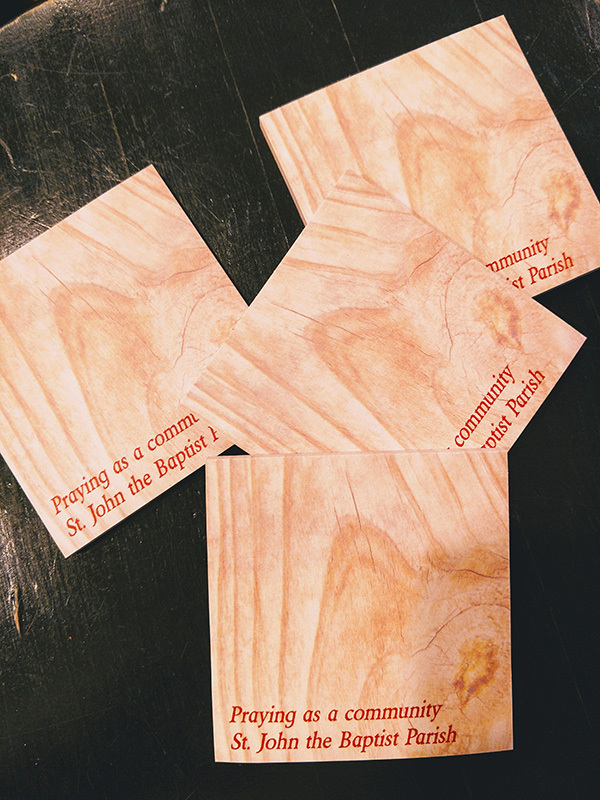 Kevin Lawrence, pastor of St. John the Baptist Parish in the Manayunk section of Philadelphia, collected Lenten petitions from his congregation. The prayers were written on sticky notes designed with a wood grain background. For the parish’s Good Friday liturgy, Msgr. Lawrence attached the petitions to a cross, arranging them in the shape of the crucified Christ. On Good Friday, St. John’s will offer personal adoration and prayer from 12 to 3 p.m., followed by a celebration of the Lord’s passion at 3 p.m.
Wood-grained notepaper with petitions will be attached to a cross on Good Friday at St. John the Baptist Parish in Philadelphia’s Manayunk section.